Recordkeeping is a systematic and efficient way of controlling the creation, use, and deposition of important organization files. The technique also allows for the capture and the production of evidence of important transactions of an organization. Every company and business needs to develop effective ways of organizing and storing their records. As a matter of fact, it is also a legal requirement. Below are some 3 tips to effective business records management. It is important to organize and classify documents according to the function of the records. Auditing of records is among the first steps that organizations have to perform. The volume of documents increases each year and classification should indicate what records are important and which one can be tossed. An organization should, therefore, before deciding to make company policies, decide on what records they will be keeping. A well-organized business should have a safe and specific place to keep the records. With the current advancement in technology, there are some ways innovative through which records can either be kept physically or permanently. Companies can use tapes, flash disks, external and computer hard disks, as well as hard paper to store their data. Cloud storage is one of the most reliable options today. It is important that the choice of where a company’s records will be kept is within their budget. A small-sized business is likely to store much of its records online because of limited space and costs. A large-sized company, on the other hand, would need a larger space to store data, and thanks to their easy access to the funds and resources, they can couple this with local or remote cloud storage. It is also important to store records in places where they can be easily accessed at any given time and depending on the urgency. Records can be stored in work areas, central place internal locations, or even records departments depending on the organization’s preference. Companies need to perform audits, and for this, they need records of important transactions within a particular period. The federal government may also require that the particular company avails its annual accounts and asset records. Ensuring that the records are placed in a safe place, whether electronically or physically, should be one of the most fundamental concerns of a company. Companies should also have policies guiding the destruction of records to ensure that they don’t destroy their essential records. Apart from saving the business from liabilities, efficient record management ensures that an organization is well organized to work better to achieve their key goals and objectives. Employees can carry out their duties with efficiency. 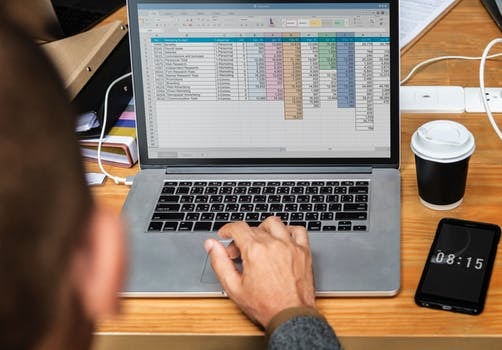 Effective record keeping also allows for companies to save time when looking for important information regarding the organization as well as allowing for accountability for errors that an employee may have made. If a company decides to use an electronic form of record keeping, it is important they ensure that that the data is security-encrypted and that only specific people who can be held accountable have access to the records. With traditional forms of record keeping such as files, on the other hand, companies should ensure that the places where the records have been kept are both fire and waterproof to prevent damages in case of catastrophes. Better still, you can choose to outsource records management services, which allows your business to concentrate on their main profit-making objectives.